The Festival of the Pacific Arts is held every four years since 1972, and brings together artists and cultural practitioners from around the Pacific region for two weeks of festivity. 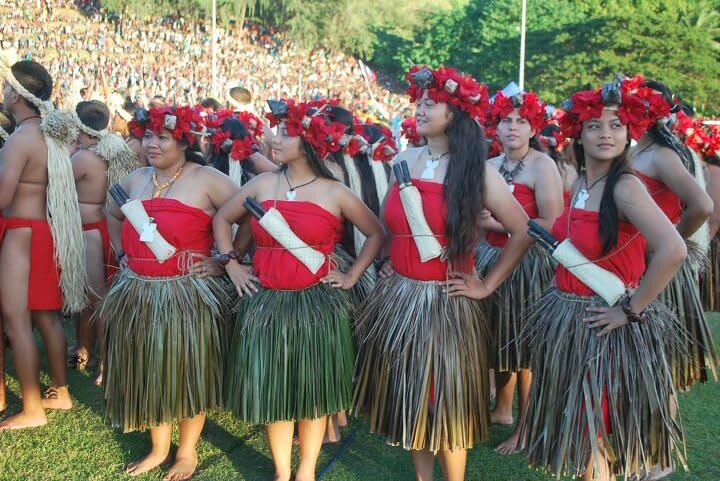 It is recognized as a major regional cultural event, and is the largest gathering in which Pacific peoples unite to enhance their respect and appreciation of one another. The idea of a Festival of Pacific Arts was conceived by the Conference of the South Pacific Commission (now the Secretariat of the Pacific Community, SPC) in an attempt to combat the erosion of traditional customary practices. Since 1972, delegations from 27 Pacific Island Nations and Territories have come together to share and exchange their cultures at each Pacific Arts Festival. A delegation of 2,500 performers, artists and cultural practitioners is expected, in addition to thousands of visitors from Asia and festival followers who see to it they are part of the festival every four years. The 27 Pacific Island Countries and Territories expected at the festival are: American Samoa, Australia, Cook Islands, Easter Island, Federated States of Micronesia, Fiji Islands, French Polynesia, Guam (2016 Host), Hawaii, Kiribati, Marshall Islands, Nauru, New Caledonia, New Zealand, Niue, Norfolk Island, Northern Mariana Islands, Palau, Papua New Guinea, Pitcairn Islands, Samoa, Solomon Islands, Tokelau, Tonga, Tuvalu, Vanuatu and Wallis and Futuna. Guam made its bid to host the 12th Festival of Pacific Arts and was awarded this distinction at the 10th Festival held in American Samoa, in 2008. It was during the 11th Festival of Pacific Arts held in the Solomon Islands, July 2012, where Guam officially received the festival flag. The 2016 festival is Guam’s opportunity to showcase its unique Chamorro culture that has survived colonization of the past and modernization of the present.